After 10 years of hard work, Rocky Patel has produced his best blend yet! This cigar is rich, powerful, complex and yet perfectly fermented. Made with a proprietary wrapper and filler leaf, this cigar possesses a unique flavor spectrum. 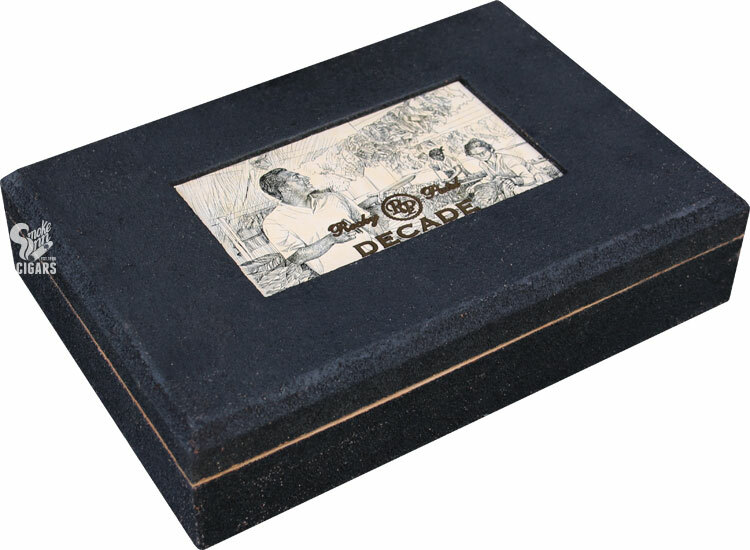 With a hearty dose of ligero filler, the Rocky Patel Decade will fill your palate with sensations of spice. Made in celebration of his decade in the cigar business, this cigar is sure to please. With a 95 rating from Cigar Aficionado , these babies are sure to fly. So don't waste time and pick a box up while they are in stock!